Goa Congress chief Shantaram Naik alleged that Prime Minister Narendra Modi, Union Finance Minister Arun Jaitley, Revenue Secretary Hasmukh Adhia were responsible for the loss. PANAJI: Goa Congress chief Shantaram Naik on Saturday demanded a CBI probe into the initial fixation of "exorbitant" tax rates by the GST Council, which he claimed had caused a "notional" loss of Rs 20,000 crore to the central and states' exchequer. "CBI should sou moto investigate into the matter of initial fixation of exorbitant rates by the GST Council (which have) caused approximately, Rs 20,000 crore loss to the Centre and states," Naik said in a statement. He alleged that Prime Minister Narendra Modi, Union Finance Minister Arun Jaitley, Revenue Secretary Hasmukh Adhia were responsible for the loss. "The Rs 20,000 crore loss may be notional but, in the past, Modi highly relied upon notional losses to blame the United Progressive Alliance (UPA) government," he said. Naik has served as the Chairman of Parliamentary Standing Committee of Department of Personnel, Public Grievances, Law and Justice. "The Rs 20,000 crore loss may be notional, but damage caused to central government and state governments is real and Prime Minister as head of the government, who gave false assurances to the nation and created a false economic picture and now reversing his major decisions, is solely responsible," Naik said. He added that the Goods and Services Tax had triggered an "economic terror" in the circles of small traders and the common man there was revision of rates in every meeting of the Council. "They are creating utter confusion in the economy by rash acts of criminal negligence, breach of trust, forgery and mischief, which need to be investigated and inquired into," Naik said. 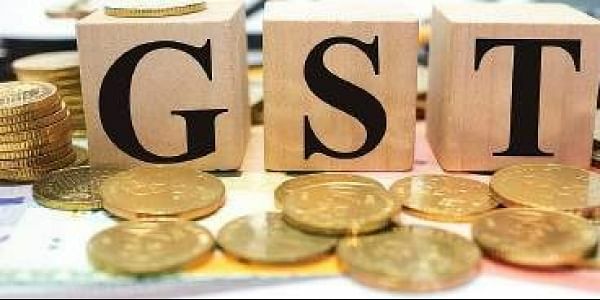 The GST Council during its meeting in Guwahati on Friday lowered tax rates on 178 items from 28 to 18 per cent.